On October 30, 2013, Richmond, VA mobile app developer, Shockoe was honored by the Richmond Venture Forum, along with eight other startup companies for their innovation in the small business world. Between 65 to 70 companies submitted applications for the “RVA Companies to Watch” competition, eventually paired down to the final selection of eight companies. Four winners were selected as “Growth (1.5+ years)” while another four represented “Emerging Startups (under 1.5 years).” Shockoe was categorized as a “growth company” with four years of mobile app development and consulting experience in the Mid-Atlantic region. The competition highlights the impact of local and state-level initiatives that have driven entrepreneurs to the region. In a Forbes.com article from September 2013 entitled “10 Up and Coming Cities for Entrepreneurs” by Patrick Hull, Richmond made the list for its booming tax incentives coupled with the level of talent surrounding the Richmond area from Virginia Commonwealth University and the University of Richmond. The nine other global cities rounding out the list include Moscow, Sao Paulo, Kiev, Sydney, Raleigh/Durham, Santiago, Austin, Singapore, and Bangalore. Shockoe.com made a splash at the event, introducing a themed live voting app allowing event-goers to select their favorite company of the eight to win the ultimate award of the evening-the Bright Future Award. Shockoe ended up tying Emerging Startup social media referral service, Refersal for the evening’s favorite company among the eight. We at Shockoe.com are excited to announce that we have been selected as of one winners of the “RVA Companies To Watch” by The Richmond Venture Forum We will be honored in their Growth category on October 30th at Richmond’s Hippodrome Theater at their annual event! As winners of this award we wanted to invite you to come celebrate with us! Being named in this group is an honor in itself, but Shockoe might yet be named as the event’s Bright Future Award winner and we would love your help to do it! We at Shockoe know that being selected to this prestigious group is really an affirmation of the vision of our clients and partners. Organizations that have worked with us are the winners, as they have seen the potential of mobile technology through harnessing legacy systems, or as stand-alone tools. It has been rewarding for us to help organizations meet business goals through mobile and web development, ranging from budding entrepreneurs to Fortune 500 companies. Our clients challenge us with an eclectic array of projects whether they be gaming apps to in-store kiosks to vehicle tracking systems and everything in between. Each fall, the Richmond Venture Forum hosts the RVA Companies to Watch event to highlight early stage businesses which they believe contain the potential to become significant contributors to the regional economy. Companies selected must have an innovative product, service or business model that distinguishes themselves from other businesses in the industry. Past winners of the RVA Companies to Watch awards include Ledbury, CarLotz, Plan G, HDL and Intelliject. Some former winners have used this event as a means to raise capital, find new clients or as a platform to raise awareness about the hard work their companies have done. During the event at the Hippodrome, winners will have five minutes say a few remarks about their business and how Richmond has been important to their growth. At the end of the night, audience members will vote for one company to win the coveted Bright Future award which was won in 2012 by Plan G.
While the Richmond Venture Forum’s October event is a chance to highlight all of the entrepreneurial efforts of the region, we want to pass along this along as a personal invitation to you. 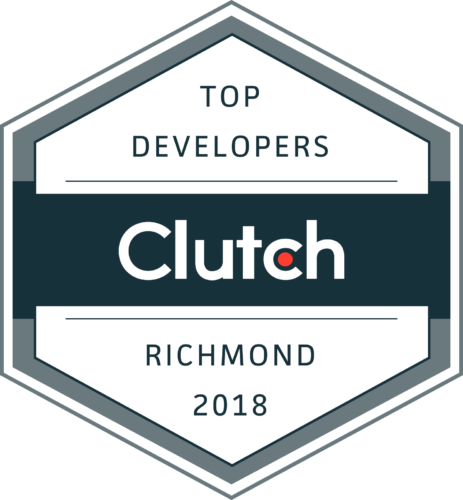 We at Shockoe see this event as a chance for you to join us in celebrating our clients’ hard work and vision in helping us to achieve this honor.